Rue de la Grande Chaumiere 8. This Paris-based British architect and writer conducts private tours of the secret haunts of bohemian Paris for small groups and individuals. Visit art studios of great masters and little-known museums, drink and dine at legendary cafes, immerse yourself in the authentic atmosphere of "retro" Paris while discovering its history and myths, and rubbing shoulders with its illustrious and notorious ghosts. Combining a scholar's knowledge of the city with a lively presentation style, Mr. Barker is an ideal tour leader for those seeking something more than guidebooks can offer. 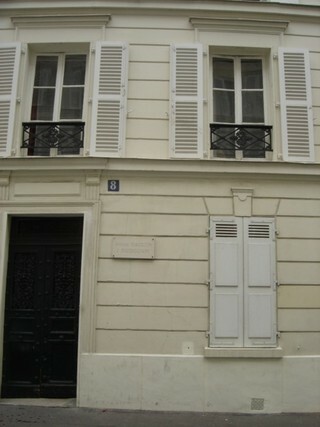 An elusive figure inhabits the sundrenched rooms of Modigliani's Montparnasse studio in Rue de la Grande Chaumiere. She sits quietly in a corner, sketching, paces the corridor with a heavy step, waits at the window, looking down at skeletal trees in an empty courtyard. From Modigliani's many portraits of her, we recognize the otherworldly gaze, the coppery hair coiled like a geisha's, the unflattering hint of double chin. It is Jeanne Hebuterne, Modigliani's last mistress, only friend, and the mother of his daughter, Jeanne Modigliani. Until October 2000, when her artwork was featured in a major Modigliani exhibition in Venice at the Fondazione Giorgio Cini, not much was known about Jeanne Hebuterne, except for the tragic story of her suicide in 1920. She was a promising young artist, fourteen years Modigliani's junior. Much too early in their love affair, Jeanne became pregnant with their first child. She was approaching the end of her second pregnancy when, destitute, abandoned by all but Jeanne, Modigliani died of tubercular meningitis on January 24, 1920. Unable to face life without him, she walked backwards out a Paris window twenty-four hours later, and at the age of twenty-one, exited a world she had but little known. 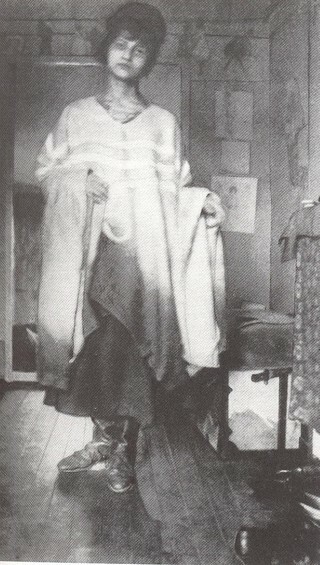 In the years that followed, Jeanne Hebuterne's papers were scattered, her artworks and possessions secretly guarded by her brother, Andre Hebuterne. Surviving family members and friends would not collaborate with biographers and scholars who later attempted to piece together the facts of Jeanne's relationship with Modigliani and to define her place in Montparnasse.